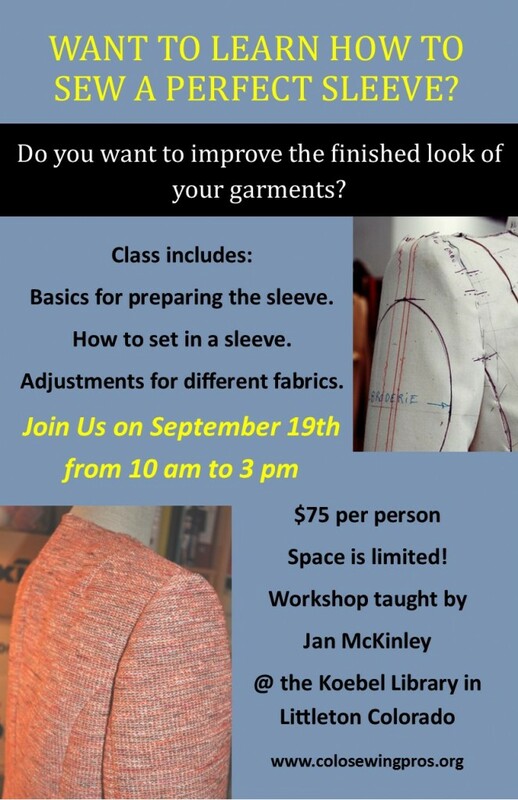 Sleeve Seminar – Last Chance to Sign-Up! Having trouble getting that sleeve it sit right? Have a special fabric that doesn’t follow the rules? Come find out ways to guarantee a great looking sleeve cap every time!! Previous Previous post: Perfect Sleeve Seminar, Don’t Forget to Register!